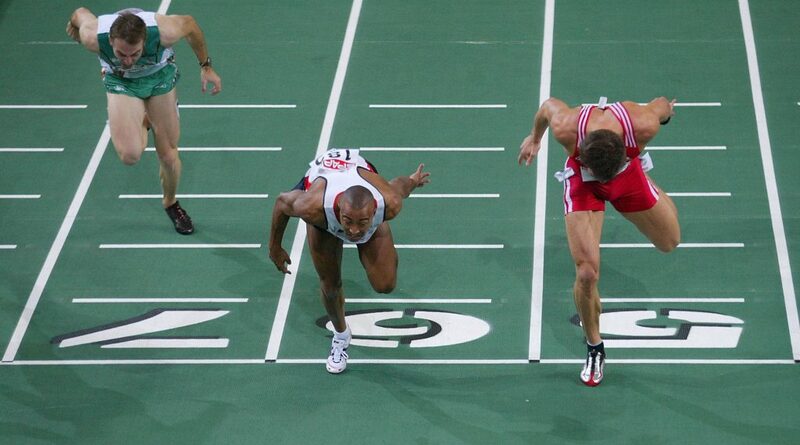 The 2002 European Athletics Indoor Championships took place in the picturesque Austrian capital of Vienna. It was the event’s final even-year iteration, before it was moved to avoid clashing with its outdoor equivalent. In total, 558 athletes from across 45 European nations came together to battle it out, as Russia topped the medal table with 11, five of them gold, to outdo Spain in second. With Glasgow 2019 edging ever closer by the day, let’s cast our minds back to five of the outstanding performances in Vienna 16-years ago. 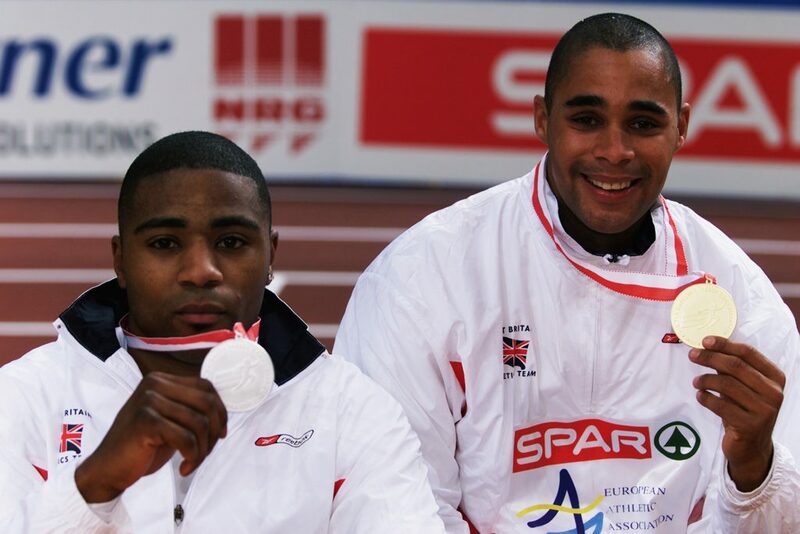 Two years before British athlete Jason Gardener shot to fame as part of the quartet that clinched 4x100m Olympic gold in Athens, the Bath-born athlete was already making waves on the European stage. Entering the competition in Austria as the reigning 60m sprint champion following his first European Athletics Indoor Championship gold from Ghent two years previously, Gardener had a crown to defend. But his task wasn’t going to be easy, as he was fighting for top spot alongside compatriot and relay partner Mark Lewis-Francis. Lewis-Francis, a fellow Olympic champion in Athens two years later, set the early marker in qualification by blowing away the field with a stunning 6.57s dash to top the leaderboard ahead of Ukraine’s Anatoliy Dovhal. But the 26-year-old Gardener took the initiative in the semi-final by outdoing his British teammate to record a 6.55s time and finish narrowly ahead of Lewis-Francis. With both athletes gunning for top spot, only one could prevail and Gardener did just enough to take the title and set a new championship record to boot. The 1999 World Championship 4x100m relay silver medallist brushed apart the field to finish in a time of 6.49s (0.06s ahead of Lewis-Francis) to take gold in style and complete a British one-two. 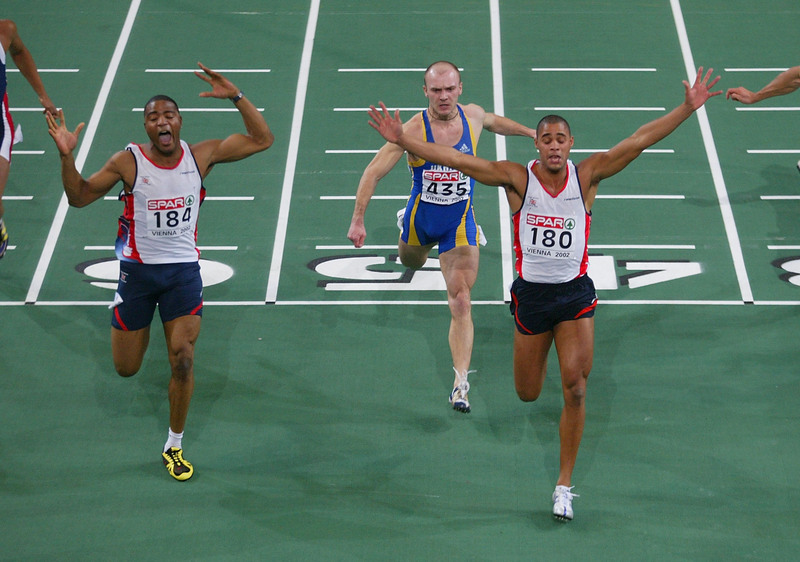 The great Colin Jackson departed the international stage in 2002, but not before becoming a European indoor champion for the fourth time in his career. The Welsh hurdles king reigned as the undefeated European outdoor 110m hurdles champion between 1990 and 2002 before hanging up his spikes to pursue his media career. 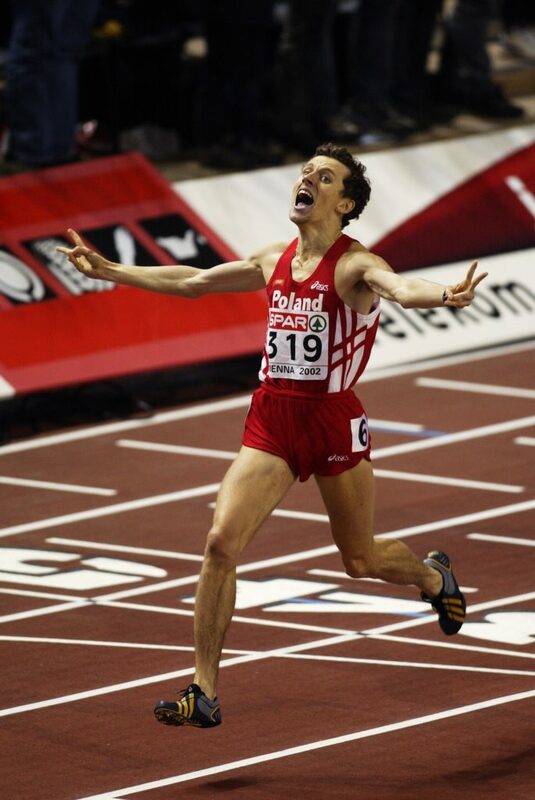 But in 2002 he delivered a stunning parting shot to be remembered on the track in Vienna by clinching a fourth successive gold medal. Then 60m hurdles world record holder, a feat only surpassed in 2010 by Dayron Robles, Jackson delivered a performance to remember, finishing in 7.40s in the final to claim top spot ahead of Austrian home favourite Elmar Lichtenegger. It was a season’s best for Jackson as he went on to win a Commonwealth silver medal in Manchester and another European outdoor gold later that summer. 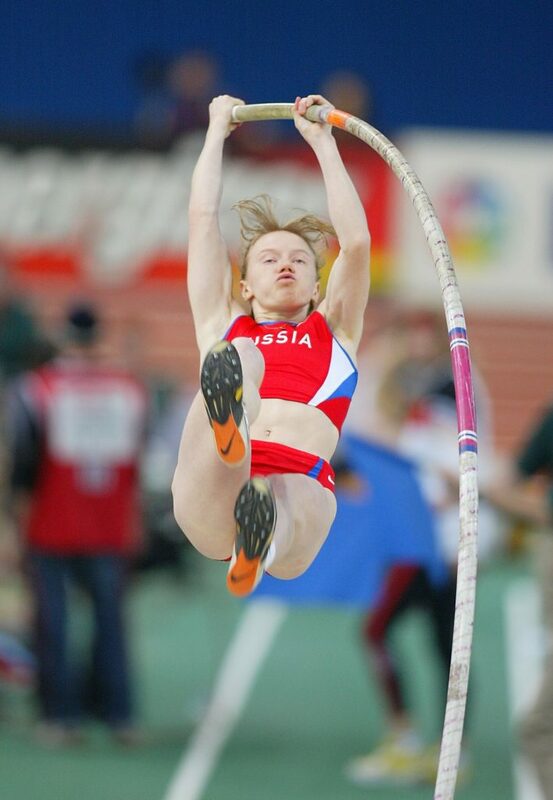 Few nations specialise as expertly in one field as Russia do in the pole vault and back in 2002 Russian star Svetlana Feofanova smashed the indoor world record in style in Vienna. But the competition was anything but easy for the future Olympic bronze and silver medallist as she had to endure a ruthless battle against Yvonne Buschbaum to take the title. She went toe to toe with her German rival right until the very end with both taking shots at 4.70m for gold. But the Russian came out on top with her third attempt, and went on to better her effort by leaping to 4.75m to take the championship and world record. World Championship bronze medallist Paweł Czapiewski arrived in the Austrian capital aiming to secure a first European indoor title of his career against what was a stellar field. A year after finishing sixth in Lisbon at the World Indoor Championships, the Pole blew away the field to set a new national record in the final and clinch the gold medal. The Stargard-born athlete finished in an impressive 1:44:78 following a sensational sprint finish with Switzerland’s André Bucher and Spaniard Antonio Manuel Reina to take top spot. Remarkably all three athletes set new national records in the final, while Czapiewski had the honour of setting a new championship record. Belgium sprinting legend Kim Gevaert smashed a national record on the way to scooping top spot at the 2002 European Indoor Championships. In an intense final, the future Olympic 4x100m gold medallist finished top of the podium with a sterling 7.16s sprint to finish narrowly ahead of Russia’s Marina Kislova by 0.02s. Greek athlete Georgia Kokloni took bronze in a thrilling photo finish that went down as one to remember.